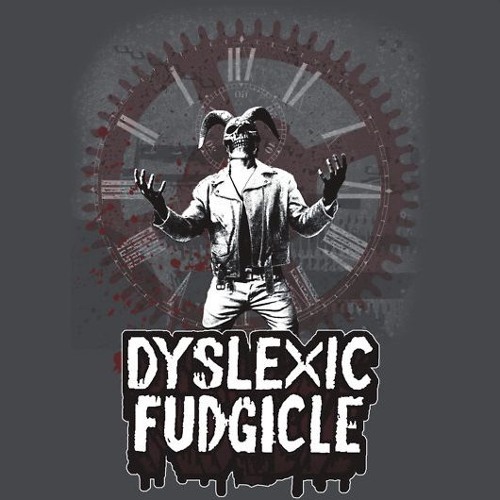 Officially formed in 2003 (although their roots allegedly date back to the Civil War), Dyslexic Fudgicle plays offbeat metal and rock songs about oatmeal, hookers, midgets, owls, and former Baltimore Ravens cheerleader/WWE Diva, Stacy Keibler. They gained notoriety on the East Coast of the United States during the late 2000's for throwing cheeseburgers during their live shows in addition to their trademark outlandish lyrics and subject matter. Not for the faint of heart, "D.F." delivers a heavy, genre-bending experience tying together elements of metal, comedy and a unique stage show. Although there has been a revolving door of band members over their 12-year career, the only constants are founding members G. Burgermeister and Nickelsack Divinorum. They continue to record music remotely between Providence, RI and Austin, TX, USA.